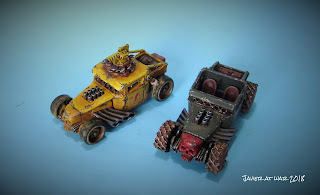 I have painted two buggies. Daylight was poor but I could not wait to take pictures and share them. They look much better in the flesh, I swear. 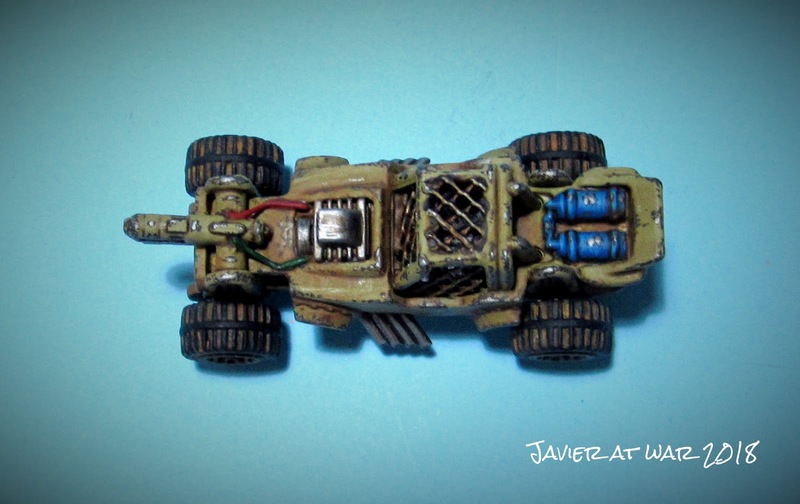 Well, this time I was more moderated in the use of pigments and I think the car turned out subtler and much better than the first ones. 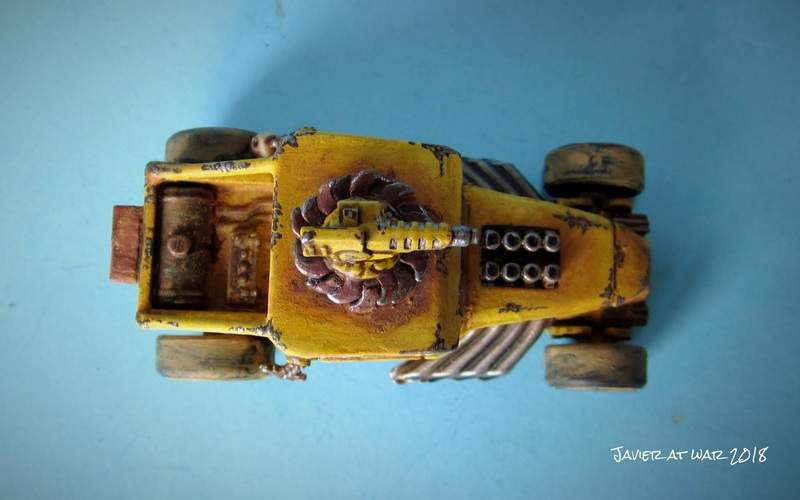 I still have to improve but I'm happy with the yellow on this car. 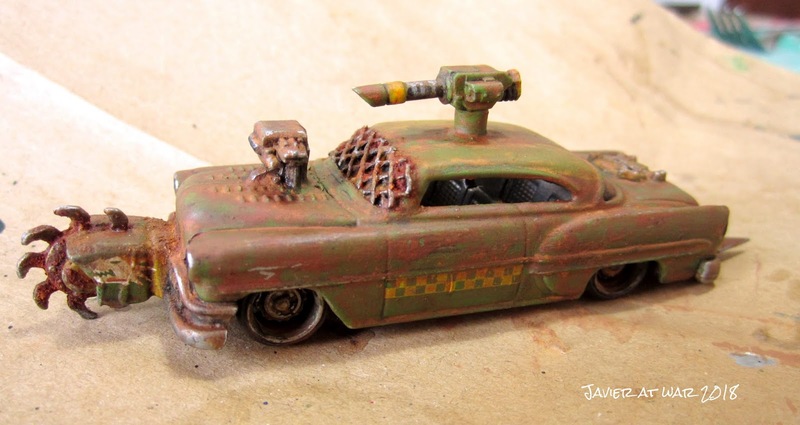 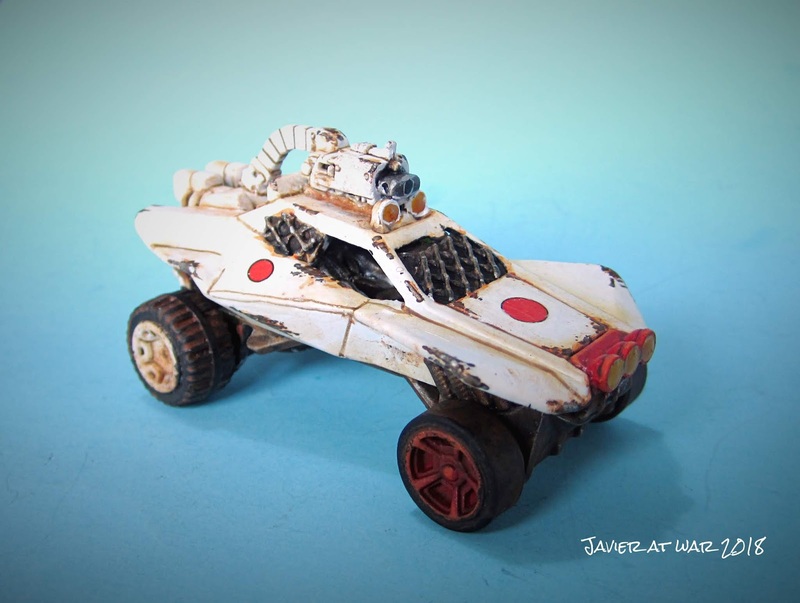 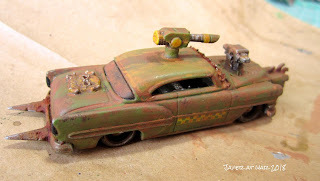 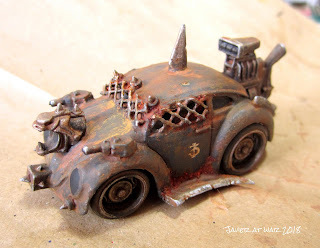 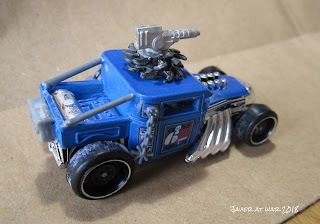 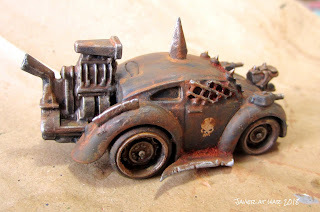 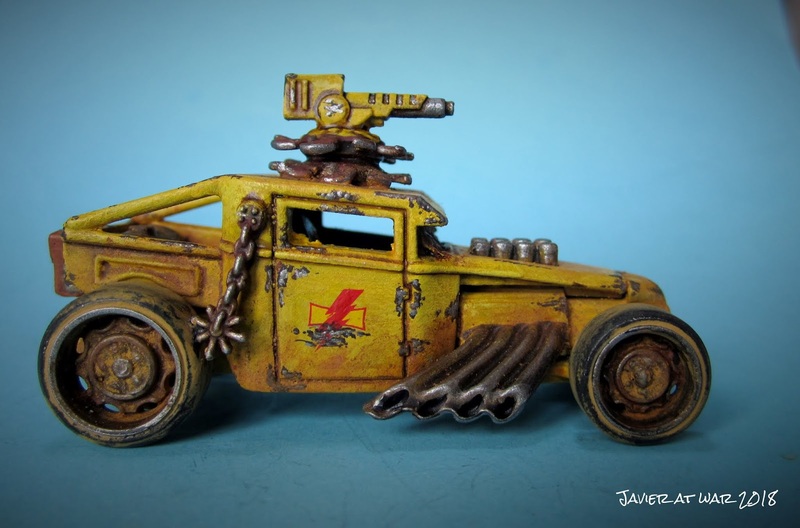 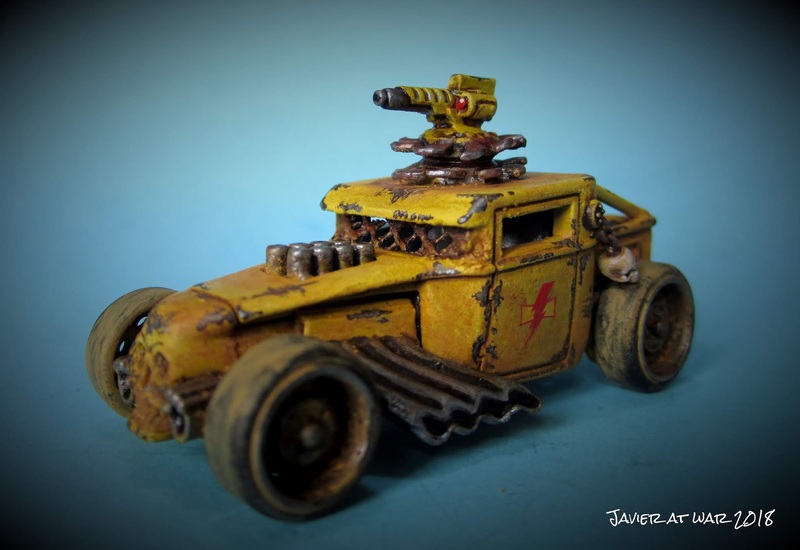 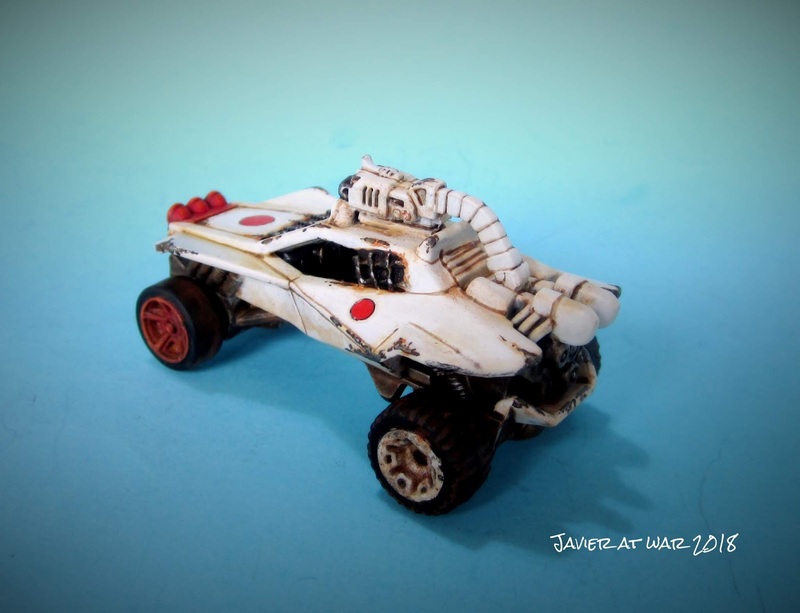 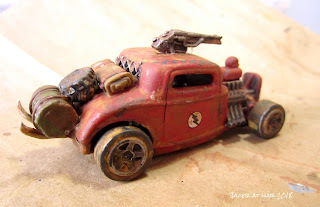 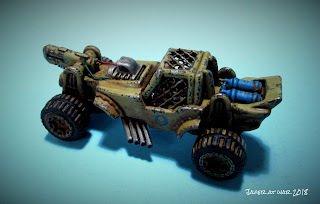 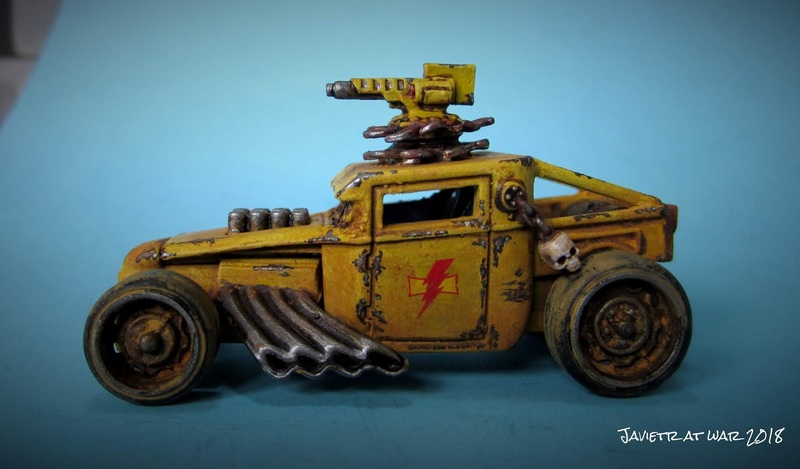 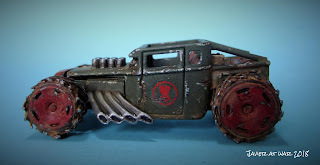 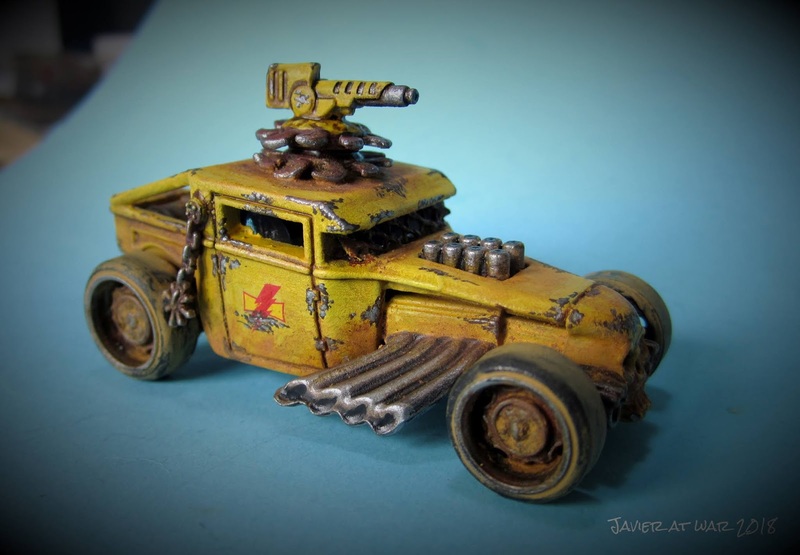 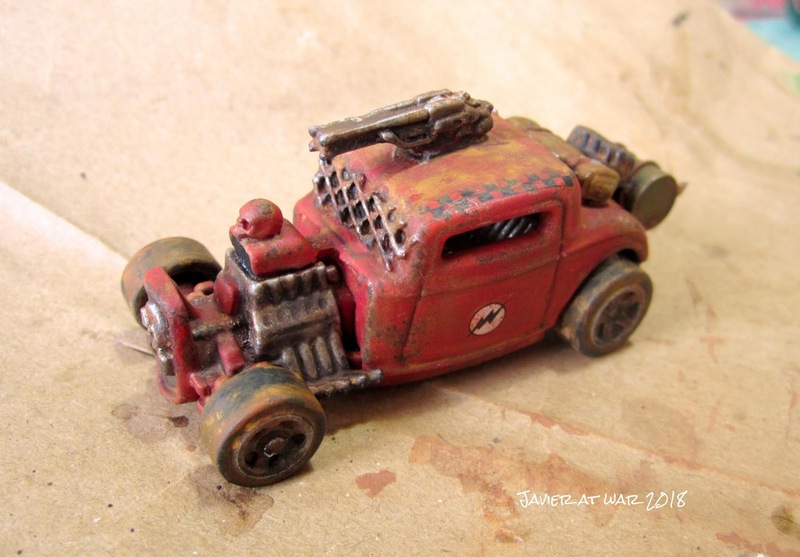 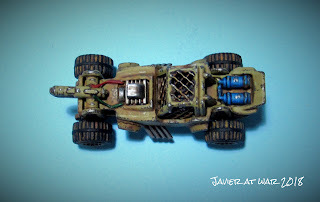 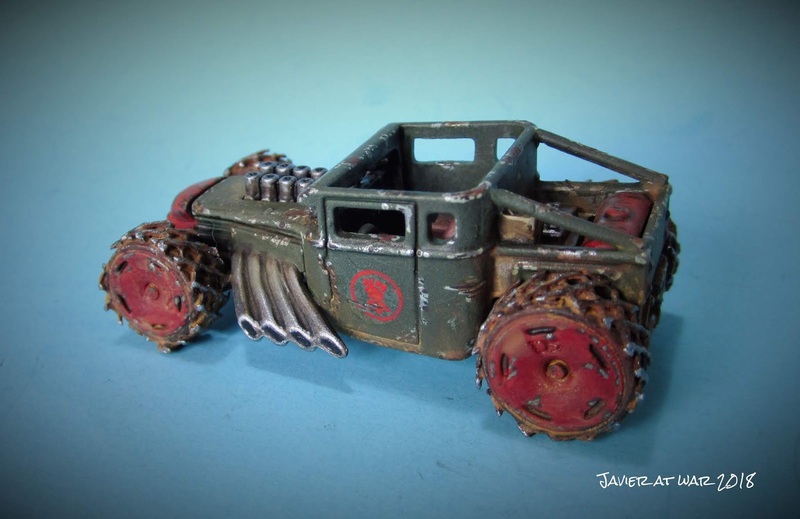 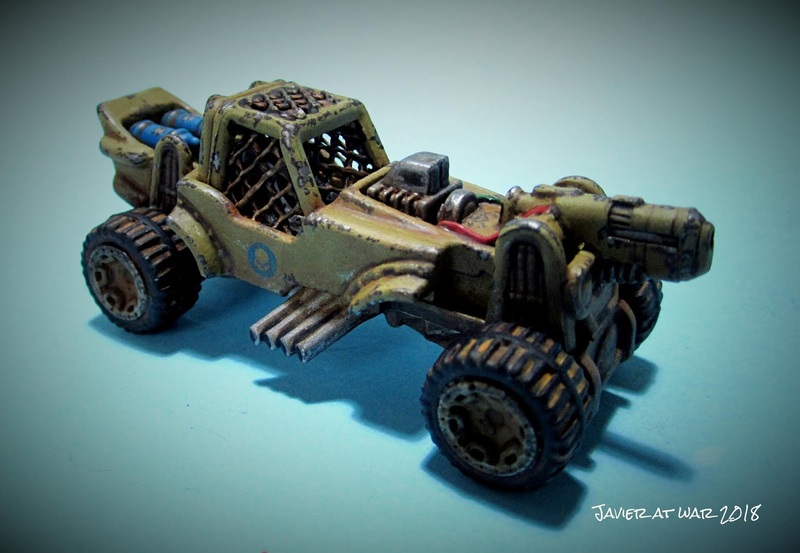 Well, here is another one who falls into Gaslands. I have to say there was a long time since I had so much fun with it. 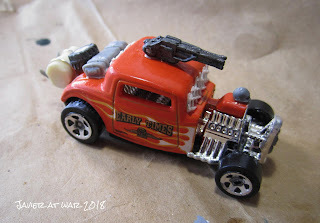 You had to see the Toys R' Us shop assistant's face when she saw a 52 yo man on his knees on the floor checking every single car in the store. 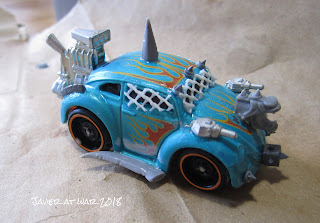 Oh, how much I enjoyed going to a toy shop to hunt down and buy some goodies! That was the first part of fun. The second one was scavenging from my bits box and tuning the cars. It was very creative and stimulating. 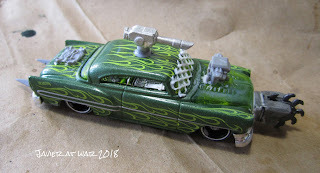 Then it came painting, though here things were a bit sour because I totally spoilt the cars when experimenting with pigments. 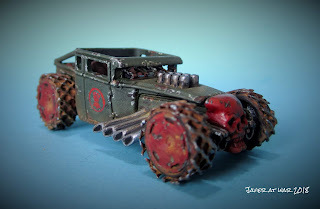 Anyway, I am happy with my first cars, and tomorrow I will play my first game with them! 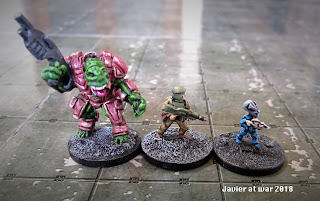 Continuing with my X-Com project in 15 mm I have chosen these Khurasan's Daemons as proxies for Mutons. 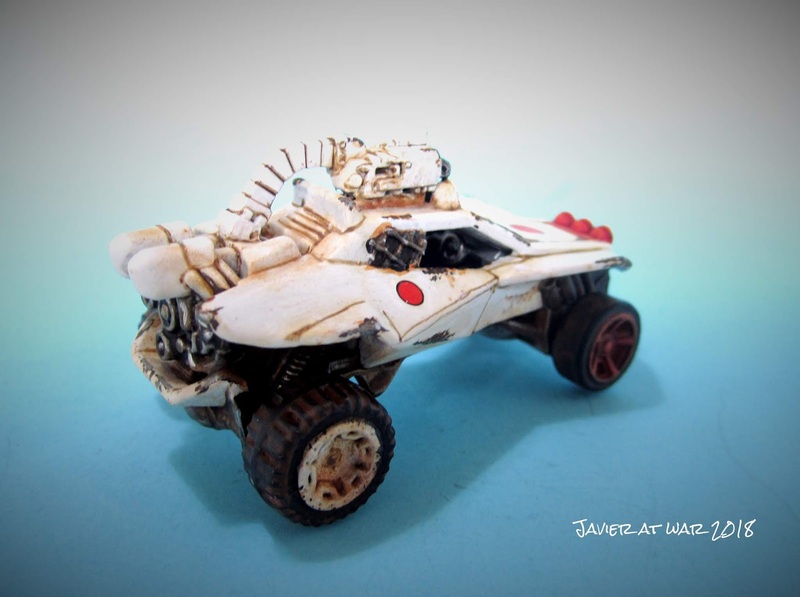 They are half-way the first and the second X-Com I think. You can see how big they are next to a soldier. 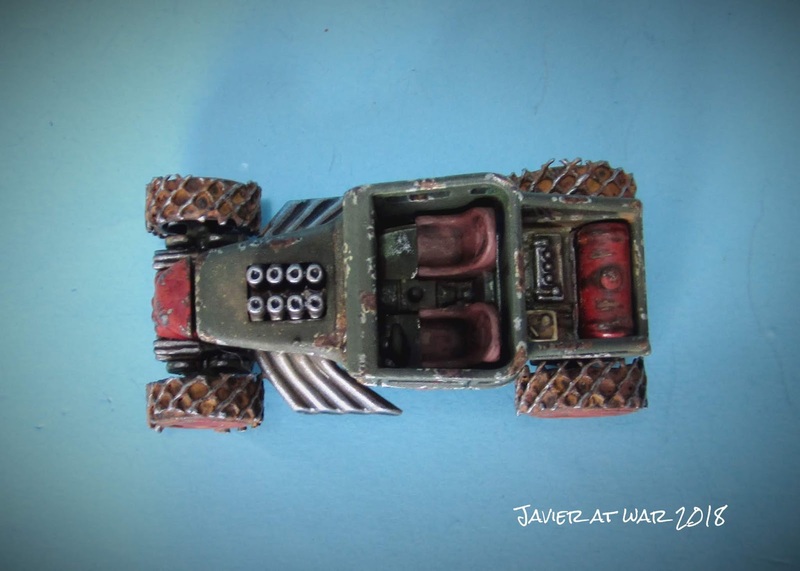 Though labelled as 15mm they are 22 mm tall. 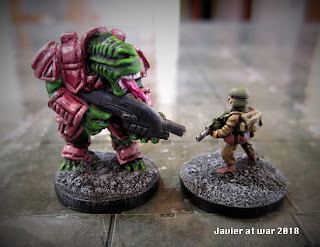 These other Khurasan's daemons or Aliens will be proxies for Chrysalids. A closer view of them and their already zombified victims. X-Com troopers next to a Heavy Weapon Platform (unmanned tank). 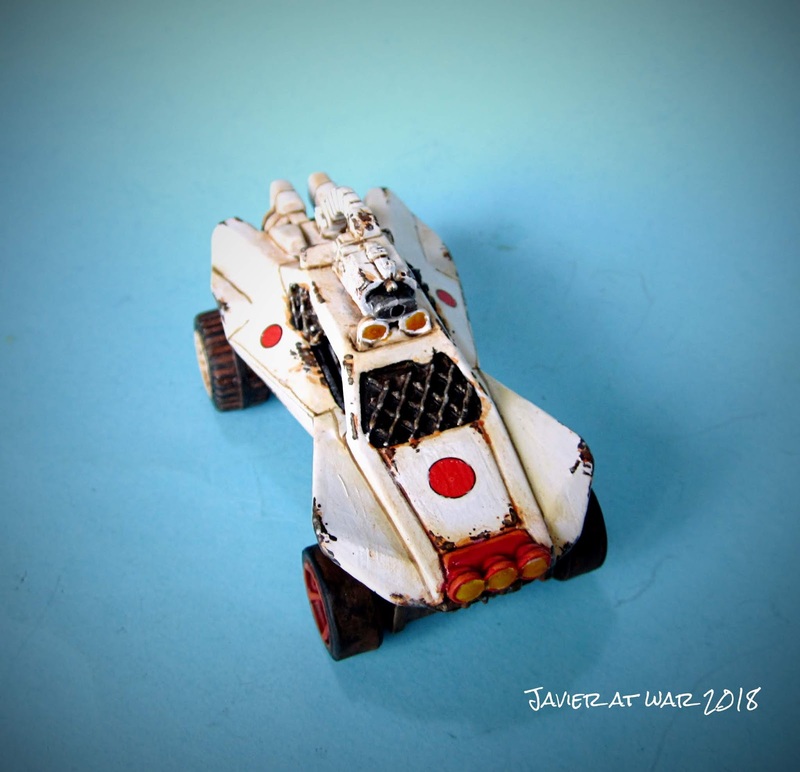 Next step is painting Astagars to use them as Snakemen.